The michigan 2014 Trout season is underway! The weather this season has lead to a later Spring with a near record winter and tons of snow, high water, and water temps well below the past several seasons. The local rivers are starting to drop, ice is off our waters, and things are starting to heat up for the 2016 Trout Season. Streamers and hatches of caddis and Hendrickson's, along with stone flies have been producing a few nice fish. 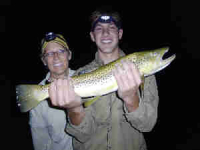 Warmer weather and hatches pushed weeks back by mother nature will provide some great opportunities in June for trout! 1). Fishing for Spring trout in michigan. 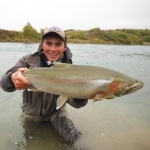 Great interviews with great fly fishermen! 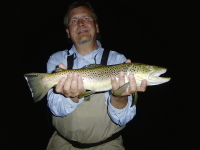 Taking bookings for Summer 2015 Trout fishing! Have a large group? Jon's Guide Service also books 7 other guides! 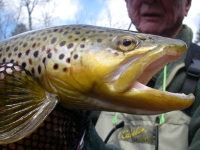 April in the State of Michigan is the official trout opener, although many rivers and streams are open year round. 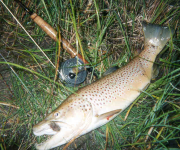 Early season trout fishing can be affected by weather and water flows. 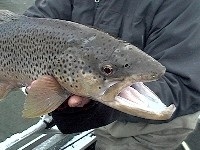 Streamer fishing can produce some of the biggest fish of the season. Fish have had a long cold winter, and as water temps start to heat up, so does the fishing! Warming trends early in the season offer dry fly fishing, with hatches of stones, caddis, and Hendrickson's. How do we fish for trout? There are many ways to fish for trout and no better time to learn how than during the peak times. With good hatches and warmer weather around, the odds of success are larger than any other time during the year. The techniques used vary on river conditions, the number of fish in the river, and the time of the year, as well as the type of water we are fishing and the traffic on that water. 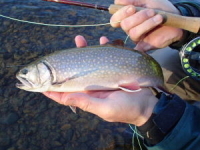 Here are three ways that we fish for spring trout. 90 % of a trouts diet is subsurface, so it only leads to fishing food sources below the surface in front of the fish. Sometimes we fish them under a float and at other times under a fly. Looking at a hatch chart for your area will lend a hand in determining what nymphs are active in a system. When we think of fly fishing this is what we think of. 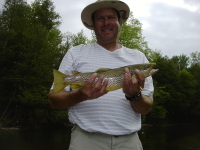 Dry fly fishing is awesome and very interactive with angler making presentations and the fish working the hatch. Warmer weather and normal river flows goes a long way in helping the chances of a good hatch or spinner fall. June is the best month to look for these opportunities in Michigan. 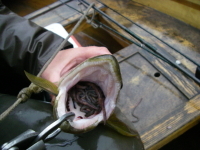 The use of spinning gear can be very effective for trout. We offer guided fishing using the following techniques. Brighter patterns / darker patterns and larger patterns during high water or low light can be effective. Fishing smaller patterns and matching the bio-mass of aquatic insects and natural eggs will work better during low water periods and in high sun. 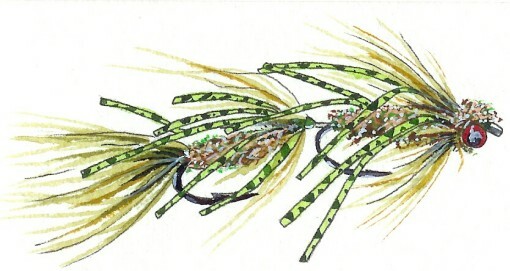 When fishing streamers, a rule of thumb is fish bright colors on sunny days and fish dark colors on cloudy days. 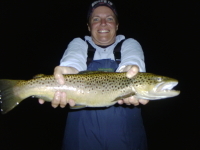 When and where should I choose to fish for michigan Trout? 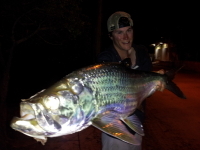 Fishing any popular river, you will find plenty of fellow anglers with the same fishing fever you have. Using a guide can help to get you on fish, but will most likely not get you away from all the traffic. 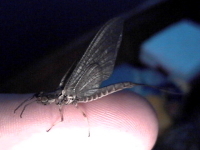 Fishing low light conditions will increase an angler's odds, and knowing when insects will emerge and have spinner falls puts you on the river at the right time! Fishing pressure is something that comes with the sport, but how you move around traffic and the river you choose can make or break your day. Knowing insects like to drop eggs in shallow riffle water allows an angler to post up below shallow riffles and look for bigger fish to feed in lower light. Here are a few places to look at for your next fishing adventure.